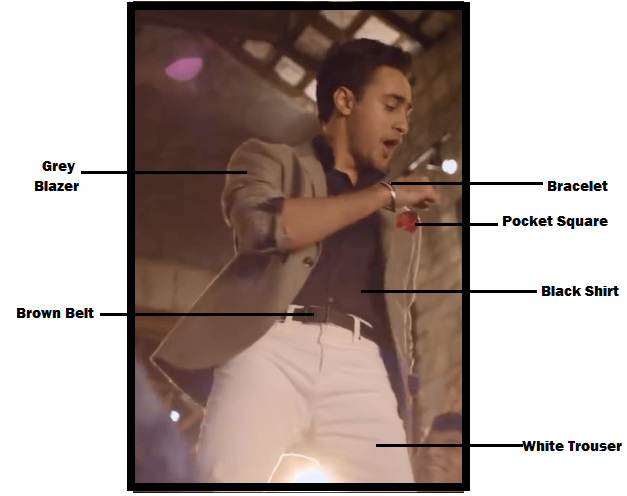 So the first look which we would like to showcase is the look of Imran Khan from the movie Gori Tere Pyaar Mein.In this article you will get to know about all the styles used by Imran Khan in the movie Gori Tere Pyaar Mein, his bracelet,belt,shirt,trouser,pant,blazer each and every thing.So hence we present you with some eye catching looks of the movie. As seen from the images above this look is a party look.Our main motive to look an attractive men will be satisfied if you follow the dressing pattern described here. Grey Blazer : Slim Fit Check Grey Blazer are such type of blazer which are hard to obtain ready made with such pattern. This blazer is designer made but if you lookout around space of your house you will definitely find a store which will provide replica of such product with a local company. Metro cities are best places to find such kind of replicas as it might save a lot of your buck. If you ever want to travel in these upcoming days just give a look to this style.This style make you look casual along with some sporty and adventurous look. 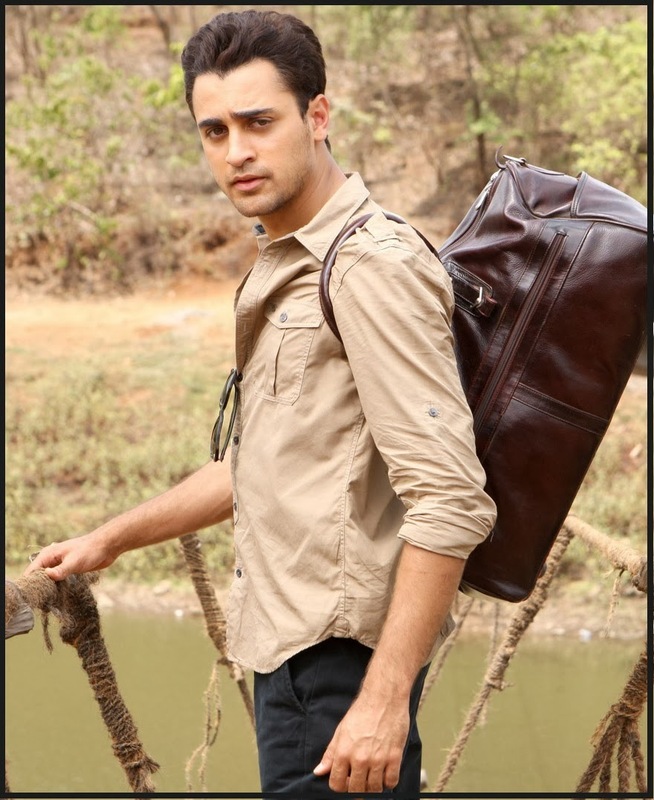 Casual khaki colored Shirt is preferred here over formal one and a casual trouser is preferred here over formal one. The major difference between wearing a formal and casual trouser is that you always have to wear formal shoes along with formal trouser while in case of casual trouser casual shoes like sneakers or loafer can go along.Now discussing about the travel bag, it is known as Duffle Bag, according to my research the bag is somewhat like American Tourister Unisex Olive Duffle Bag and would cost around Rs 2500 to Rs 3000. Sunglasses have no restriction here it may be aviators,Wayfarer,Rectangle,Square,Wrap Around, Oval ,Round, Cateyes whatever suits your face. 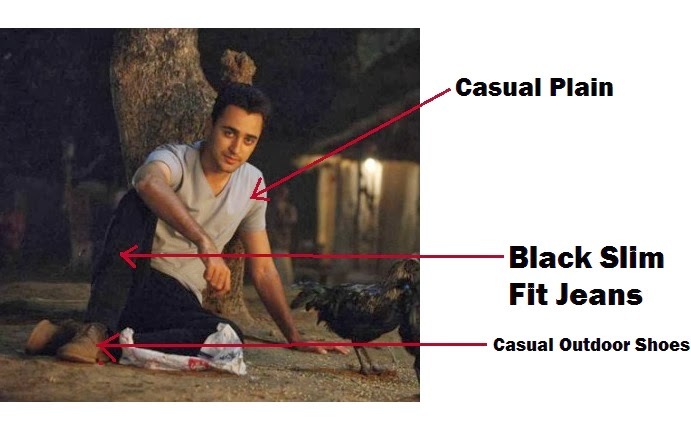 This look of Imran here is quite similar to the look of Ranbir Kapoor in Yeh Jawaani Hai Diwani.It has a formal white shirt beneath a black suite along with a black tie and white Pocket Square.This look has now become a tread to wear in marriage ceremony’s and its recommend for sure to give a try!